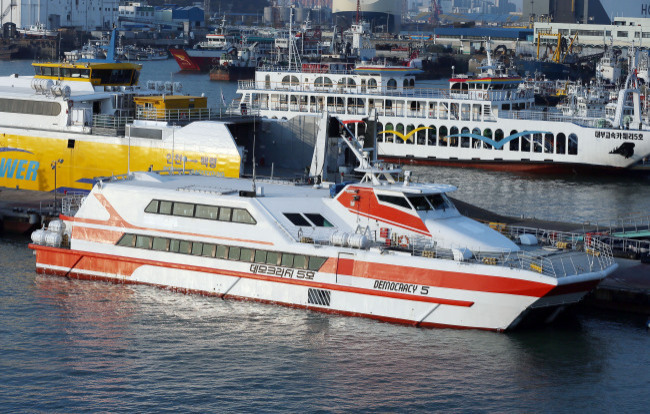 Investigative agencies have begun looking into alleged financial irregularities of the de facto owner of Chonghaejin Marine Co., the operator of the sunken ferry Sewol. According to the Financial Supervisory Service and the National Tax Service, their main line of investigation is whether Yoo Byung-eon, a former chief of the now-defunct Semo Marine, and his two sons engaged in illicit foreign currency trading or tax evasion while investing in overseas properties. 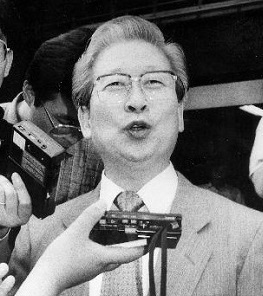 Yoo Byung-eon, a de facto owner of Chonghaejin Marine Co. The prosecution also barred the family that owns Chonghaejin Marine Co. from leaving Korea. The overseas travel ban is part of an expanding probe into whether the ill-fated ship Sewol’s renovation and the crew members’ lack of safety education played a role in the sinking of the ship, prosecutors said. Up to 44 executives and shareholders of Chonghaejin Marine Co. were banned from leaving the country, including CEO Kim Han-shik, 72, who disappeared from the public eye after a news conference last Thursday. Chonghaejin Marine Co. was set up in 1999 to replace Semo Marine Co., which went bankrupt in 1997 in the wake of a series of scandals. Chonghaejin Marine Co. acquired ships and other assets held by Semo Marine Co. and Yoo’s two sons secured ownership of Chonghaejin through a sort of cross-shareholding. An FSS official said Tuesday that regulatory inspectors were looking into the real estate investments of Yoo, Chonghaejin Marine Co. and its sister firms. The collective assets of their 13 overseas operations surged to 166.5 billion won ($158 million) at the end of 2013, while it stayed at 27 billion won when the company owners initially tapped foreign markets such as the U.S. and France. The FSS, which is set to coordinate with the Korea Customs Service for information on the foreign exchange trading of Yoo and Chonghaejin Marine Co., is considering handing over the case to the prosecution should the regulator find some irregularities. Officials at the National Tax Service say they have not ruled out the possibility that the investors may have exploited tax loopholes or engaged in money laundering via tax havens in an alleged bid to dodge taxes.